A: Samantha’s right. Several days before Pope Benedict’s resignation took effect, he issued a moto proprio document that amended a number of elements of the already existing law on conclave procedure. Normas Nonnullas, as the new document is called, was issued on February 22, 2013, and was the last piece of actual legislation promulgated by the Pope before his resignation. Note that at the time he issued this document, Benedict XVI was still Pope and thus possessed full power, as the Church’s Supreme Legislator, to make these changes. Since we now have no Pope, there is absolutely no way that Normas Nonnullas can be altered before this conclave begins. It must be followed in the upcoming conclave by the College of Cardinals, who have no authority to make any changes to it! 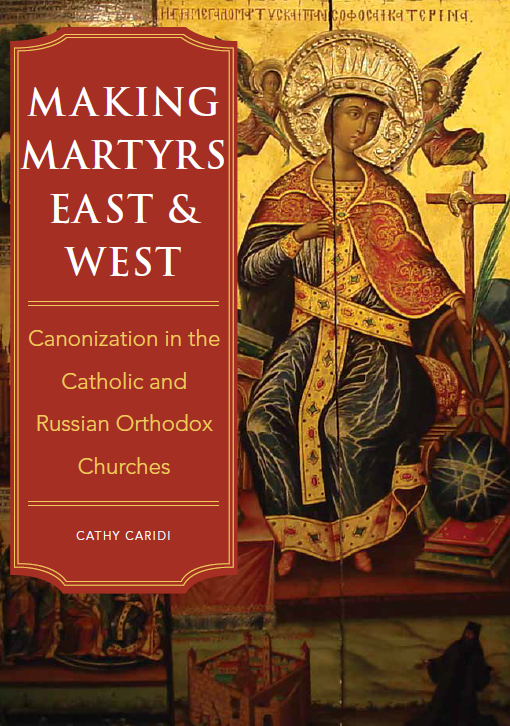 This new document does not completely do away with Universi Domenici Gregis, the pre-existing conclave law promulgated by Pope John Paul II in 1996. Instead, Benedict’s document changes only certain sections of UDG, leaving the bulk of it intact. 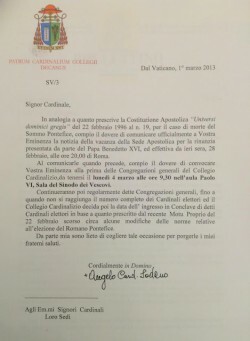 Normas Nonnullas, the document issued by Benedict just last week. Wherever the newer documents do not make any changes to UDG, the instructions in UDG are still in effect. Otherwise, the newer, Benedictine legislation takes precedence and must be followed. So what changes does the brand-new document actually make to conclave procedures? A sizeable number of alterations are “just” rewordings, to make certain elements of UDG more exact. To cite only one example, in several places NN observes that for a canonically valid election, “at least two-thirds of the votes” are necessary (NN 62, 70.2, and 75). The same paragraphs in the previous legislation simply spoke of “two-thirds of the votes.” This change in verbiage is not likely to make any practical difference during the voting, since everybody knows that the Pope who is elected might very well receive more than the necessary two-thirds minimum of votes! But Benedict XVI made the change nonetheless, in the name of precision. A few alterations are more substantial, but unless you’re actually participating in the conclave, you’ll never notice them. These include, among a number of other things, specifying which non-cardinals are to take part in the procession into the Sistine Chapel, at the very start of the conclave (NN 50); the presence of certain non-cardinals in the Sistine Chapel, prior to the actual casting of ballots (NN 64); and the precise moment when certain non-cardinals are to be readmitted to the Sistine Chapel, once somebody has received the necessary number of votes cast by the cardinal-electors (NN 87). These are technical changes only, and do not in any way alter the fact that the election itself is carried out only by the cardinal-electors themselves, with nobody else present in the Sistine Chapel during the actual voting! In one instance, the already severe penalties that will be incurred by those violating the secrecy of the conclave have been made even more so. The previous provisions of UDG asserted that if anyone installs audiovisual equipment in the Sistine Chapel, for either recording the conclave proceedings or transmitting them to unauthorized persons outside the conclave, he would be subject to unspecified “grave penalties,” to be determined by the new Pope (UDG 55). Benedict’s new law, however, asserts up-front that those who are responsible for any violation of this nature will incur latae sententiae excommunication (NN 55.3). (See “Have Pro-Abortion Politicians Excommunicated Themselves?” for an in-depth discussion of how latae sententiae sanctions work.) 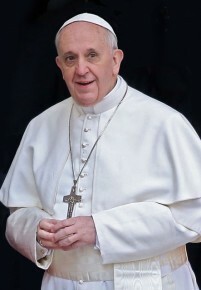 This change is also reflected in the oath that must be taken by all those non-cardinal clergy, technicians, and housekeeping staff who will invariably come into some contact with the cardinal-electors at those times when they are not actually closeted inside the Sistine Chapel for a vote (NN 48). If, God forbid, someone among the support-staff overhears remarks made by the cardinals regarding the election—while serving them dinner, let’s say—and repeats them to someone else, there is no way that the offender will be able to claim that he didn’t understand the dire consequences of such an action! But far and away the biggest change that Pope Benedict made to the already existing conclave law concerns the date when it may begin. As was already discussed in “Canon Law and the Upcoming Conclave,” the provisions of UDG mandated that the College of Cardinals wait at least fifteen days, and for as long as twenty days, after the See of Peter becomes vacant before beginning a conclave (UDG 37). But now NN provides a loophole: if it is clear that all the cardinal-electors are already present in Rome, and attending the pre-conclave meetings of the College of Cardinals, the College has the ability to move the start-date forward (NN 37). Note that the new legislation doesn’t say that the cardinals have to do this; nor does it specify any minimum number of days that they have to wait. Theoretically, therefore, the college of cardinals could, if all the cardinal-electors were already present, agree to begin the conclave immediately! In practice, however, the necessary logistical arrangements which must be arranged beforehand are normally time-consuming enough to make an immediate start impossible. Arrangements for housing the cardinals, security to ensure the conclave’s secrecy, etc., must be made first! As we all know, ordinarily the See of Peter becomes vacant due to the Pope’s death, and so the complicated arrangments for a papal funeral must be made before a conclave can begin. Normally, because nobody can predict the moment when the Pope will die, those cardinals who live in far-away countries need some time after his death has been announced to settle their affairs at home, and travel to Rome for the conclave. But in this case, of course, these elements of the process are moot, thereby simplifying the logistics of the upcoming conclave immensely. This is apparently why, in the view of Pope Benedict, there is no absolute need this time around to wait fifteen days for the conclave to start. Consequently, under this new law, if even one cardinal-elector has not yet arrived in Rome, the College of Cardinals cannot move to bring the conclave’s start-date forward. Every elector must be present first! We saw in “Canon Law and the Upcoming Conclave” exactly which cardinals will be entering the conclave, and which ones won’t. But what happens if an eligible cardinal-elector decides that he won’t be attending the conclave? This is not a theoretical question: the issue has already come up! We’ll take a look at the law regarding the question of whether cardinal-electors can choose not to participate in the conclave in the next column, which hopefully will be published next week. This entry was posted in The Pope and tagged canon law, Catholic, college of cardinals, conclave, Pope. Bookmark the permalink.